The Industrial Revolution of the late 18th Century was the principal factor in the growth and development of the city of Cardiff. This event stimulated the South Wales mining industry and, in 1794, also led to the creation of the Glamorganshire Canal, a waterway which enabled coal and iron to be delivered from the valleys. But even that proved insufficient. Another form of transport would clearly be needed. And, so, the year 1840 saw the opening of the Taff Vale Railway. But this wasn’t the only major development. The growing market for coal and iron also led to the creation of several new docks, such as Bute West, Bute East, the Roath Basin, the Roath Dock and Queen Alexandra Dock, all of which were opened between 1839 and 1907. Fuelled by this industrial activity, the area of Butetown grew quickly. It became known as Tiger Bay and it is thought that people of at least fifty different nationalities now called Cardiff, “Home.” These people helped to construct the docks, serviced the ships and enabled the town to function. By the 1880s, the town that had once been one of the smallest in Wales had become the principality’s largest and its docks were dealing with a greater volume of coal than any others on the planet. Coal exports hit their record level in 1913, weighing in at more than thirteen million tonnes. The international price for coal was set at the city’s Coal Exchange, which was also where the world’s first £1 million coal deal was struck. But the boom years didn’t last. After the 1940s, demand for coal started to fall as other nations began to build up their own industries. By the 1960s, coal exports had all but ceased. Worse was to come. In 1978, over 3,000 jobs were lost with the closure of the East Moors Steelworks, delivering yet another blow to the area’s fortunes. By the 1980s, Cardiff Bay itself had become a wasteland of mudflats and dereliction, enduring high unemployment, while its people suffered from social exclusion. Fortunately, the 1990s saw the beginning of a revival in the area’s fortunes as it increasingly became a leisure and business centre. That period also saw the pivotal founding of the National Assembly for Wales. The Cardiff Docklands, now known as Cardiff Bay, has been transformed, thanks to the Cardiff Barrage, a structure which has been used to create a massive lake. Boat tours, operating from Mermaid Quay, enable passengers to gain an understanding of the history of the area and there is also a water taxi service which links the bay to the city centre and Penarth. 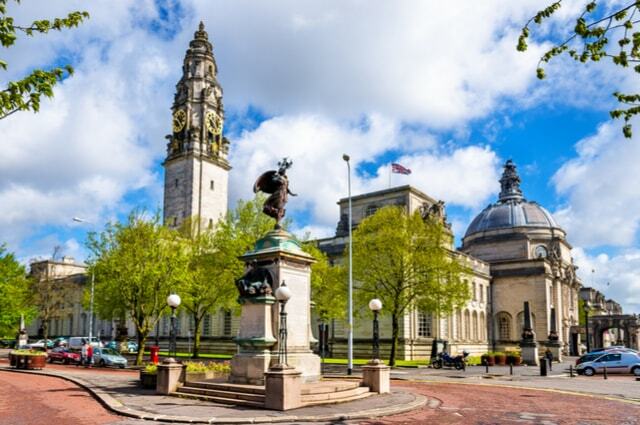 Cardiff has faced many challenges in the past and will do so in the future. No one can know what that future will hold but one thing is certain; whatever those challenges, we at KC Smith, the best roofers in Cardiff, will be there to keep a roof above everyone’s heads, like we have done so many times in the past.